ZAATARI CAMP, Jordan (CNS) — As a number of Syrian refugees enter their fourth winter of displacement, without an end in sight to violent fighting in their nation, Mahmoud summed up how they feel. “Our life in Syria was different from our difficult existence in this camp living as Syrian refugees,” Mahmoud said, referring to Jordan’s largest camp, located in the desert, a mere dozen miles away from the border of his war-torn homeland. Because of a lack of international funding to the United Nations and host countries, such as Jordan, financial aid for food and living expenses has been cut. Refugees now get just 50 cents a day per person, forcing some Syrians to consider whether to remain in Jordan, travel back to Syria or beyond. 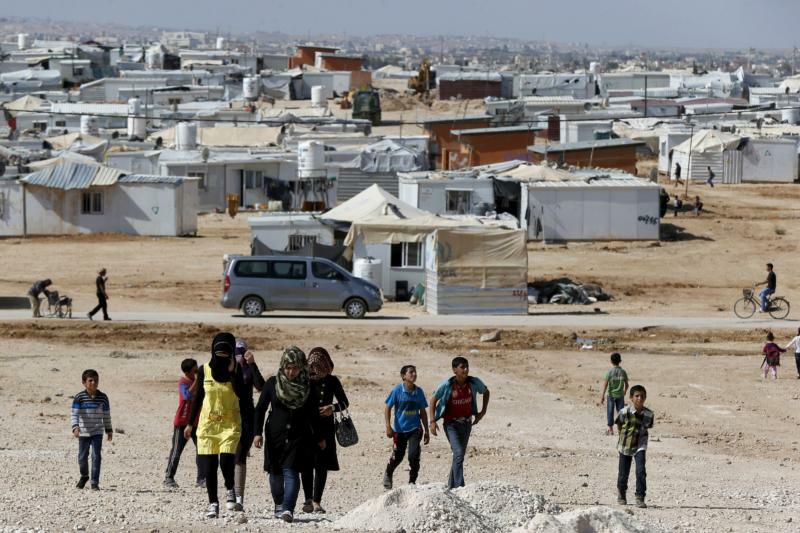 The U.N. refugee agency reports that, currently, about 100 Syrians living in Jordan return home nearly every day. One refugee, a 30-year old-divorcee with three young children, said she planned to return to Syria in early November with the intention of making the increasingly dangerous sea voyage to Europe’s shores and beyond. More than 400 refugees, including many children, mainly from Syria, Iraq and Afghanistan, have drowned in the Aegean Sea since the start of the year in their attempt to cross from Turkey to Greece. However, scores of Syrians still cross Jordan’s border in search of safety, particularly as Syria’s southern Daraa province has come under renewed bombing. Activists there believe Russia is also now involved in carrying out airstrikes on behalf of Syrian President Bashar Assad. With winter’s approach, Syrian refugees like Mahmoud said they prefer to stay put in Jordan. They have heard tales from relatives and friends saying the journey to Europe in search of a better life has turned sour for some who have risked the perilous trip. 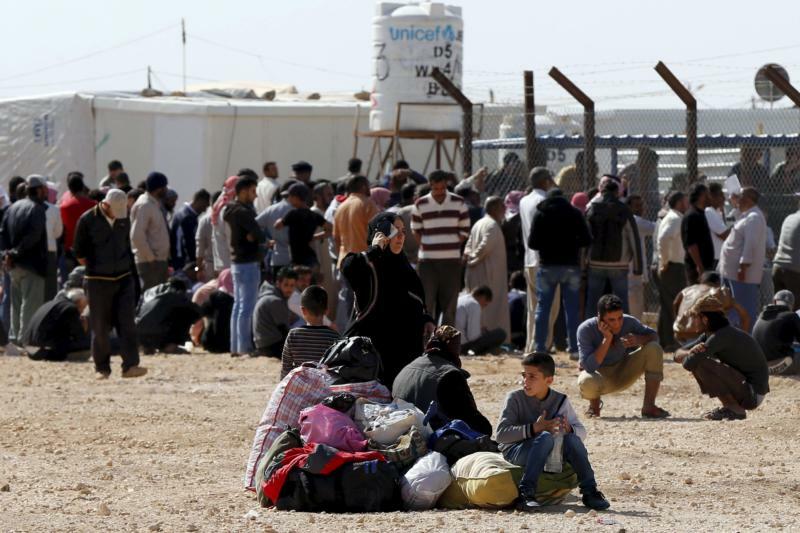 However, most of Jordan’s more than 680,000 registered Syrian refugees live outside camps and in communities. Often, they are more vulnerable than those living in camps, because they find it difficult to pay rent and buy basic necessities. Rajha was widowed after her husband was detained by Assad’s forces and tortured to death in a jail in the central city of Homs. She fled with her three children for safety to Mafraq, a town that now has more Syrians than Jordanians. The woman, clad in black from head to toe, including a face veil, said her two adolescent sons must work collecting plastic for recycling and loading boxes of vegetables in the market, rather than attend school in order to help the family pay bills. But the small amount they earn means that she owes her Jordanian neighbors $570 — a huge sum for her family to repay. Although the U.N. food program has provided the family with aid, Rajha said she appreciates the one-time gift of $380 from the International Catholic Migration Commission, especially for winter. “We need to buy a heater, heating fuel, food and some winter garments, maybe even change this simple two-room house, because it is so unhealthy,” she said. “There no proper roof, so when it rains or snows, we have to move to other room,” Rajha said of the shelter that resembles a stable. Rats have infested the basic kitchen. “My daughter asks why we live in this bad house. The rent is very low and this is only what I can afford,” she said, with tears welling in her brown eyes. Her 11-year-old daughter clings to a photo of her father, the only adornment in the house. Emma Horton, an International Catholic Migration Commission program manager, said she hopes to refer Rajha to another aid group, the Norwegian Refugee Council, which help refugees locate safer, subsidized housing in the community.